Our family is embracing our plant based diet with surprising ease. I say that because I wasn't sure how my husband was going to adjust. He is doing well. He hasn't had any cravings. His energy levels are high. His work days are running smoothly. The part that I am excited about is learning to work with new ingredients, new techniques and new ways to preserve our food. 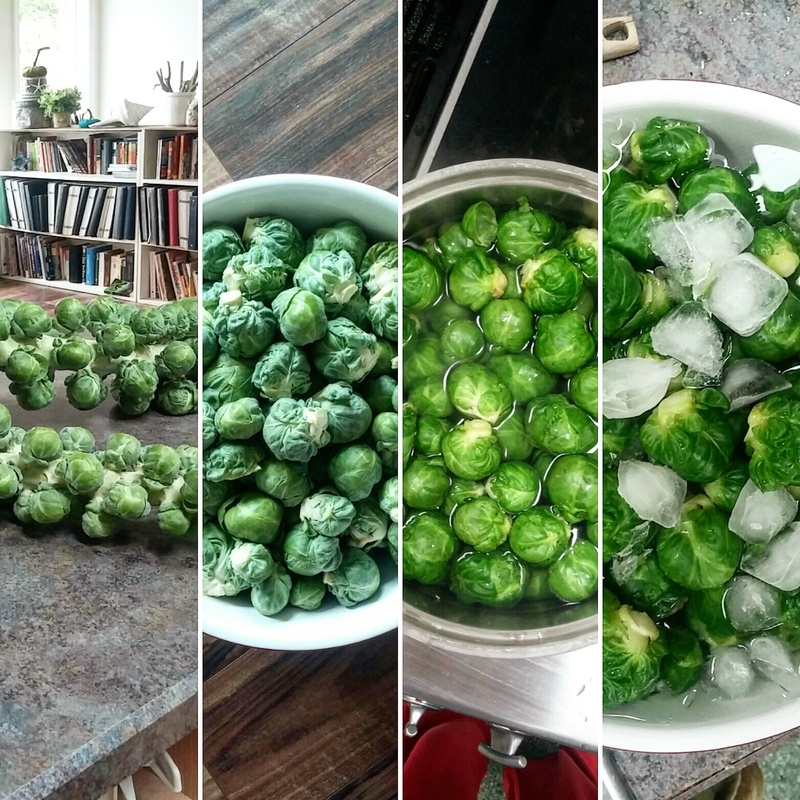 I have not spent a lot of time in my life time freezing vegetables. We mostly can them using a water bath or pressure canner. This whole freezing idea is fun, simple and fast. 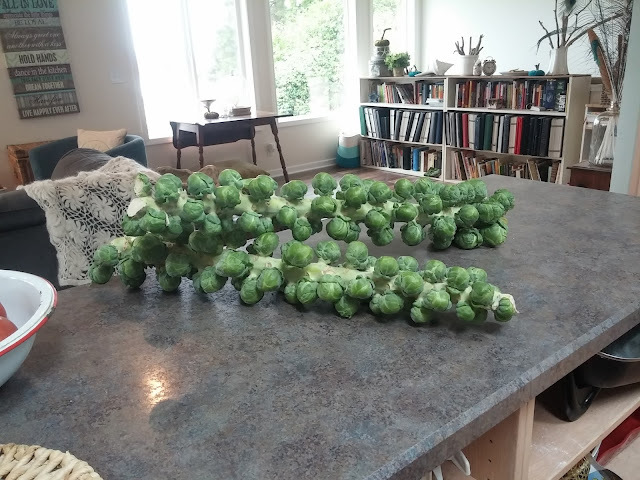 This week I walked into our local grocery store and saw these stalks of brussels sprouts. The mound of stalks was half way up my waist and the sign read: 2 for $6. I blinked twice. Did I read that right? Two for six dollars! WOW...what a deal. I verified with the department guy and he confirmed to me that this was right. They are from a local farmer and organic. To be honest, I had no idea what I was going to do with them but I just had to have them. I felt awkward in the store as my cart was overflowing with vegetables and these two mammoth stalks sticking out like two clubs. My Brussels sprout clubs in case any one messed with me...ha ha ha. I have worked with Brussels sprouts before but I have never froze them. I checked a few of my books and they all recommend the same treatment. 1. Trim sprouts from stalk. Remove any hard leaves and stems. 2. 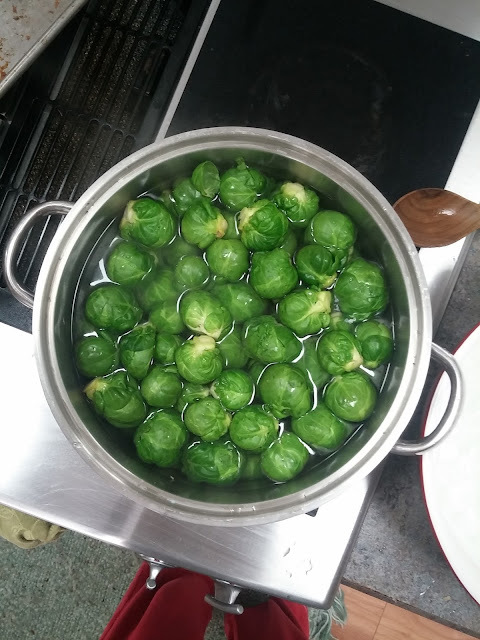 Boil them for 3-4 minutes. 3. 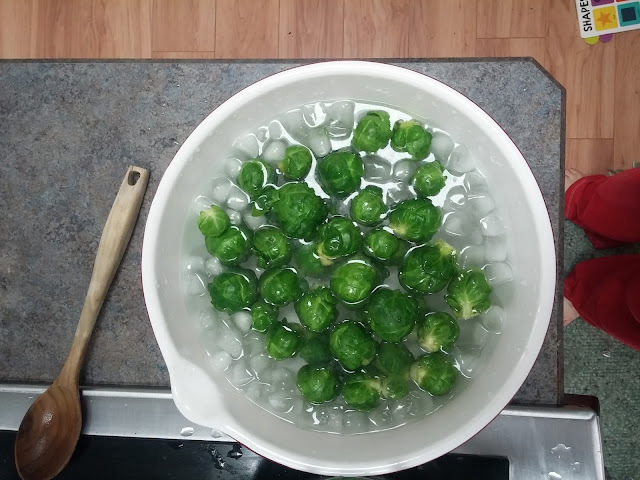 Quickly moved them to an ice bath. 4. Package them in freezer bags. The recommendation was to remove as much air as possible from the bags. Honestly, it was super easy and now I have three portions for the upcoming months ahead. I have plans for these. 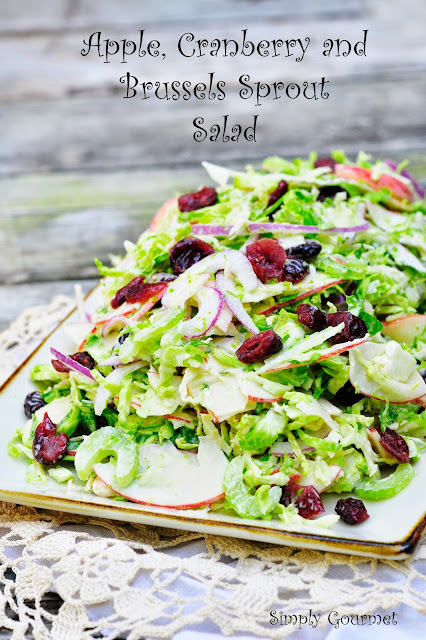 I hope to be able to pull them out during the holidays and make some fabulous side dishes. 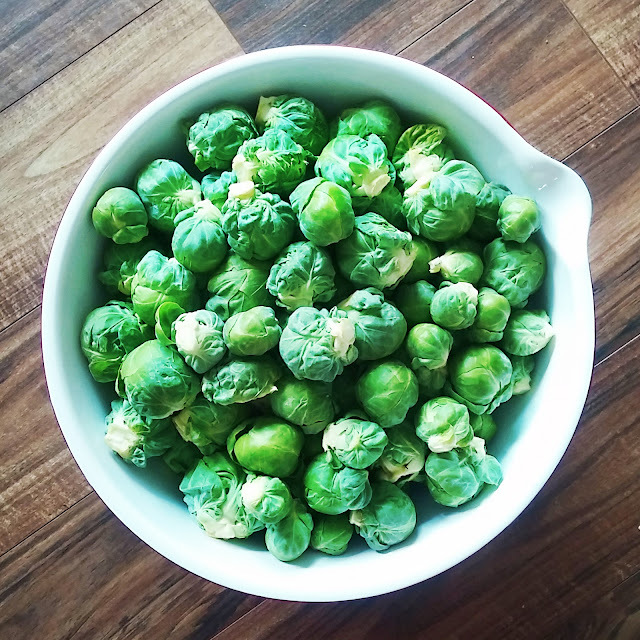 Do you have any recommended side dishes using Brussels Sprouts that you would like to share? If so, comment below and add a link. I can't wait to learn some new uses for this sturdy and hardy vegetable. Yummmm! Love the "how to" and the recipe!